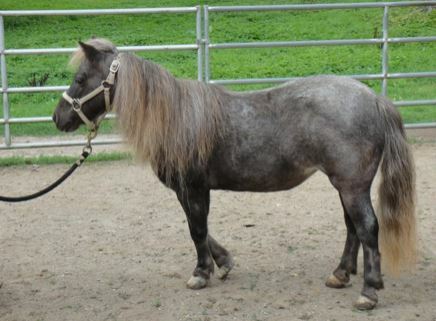 Grady is a handsome and sturdy dappled dun pony with a thick, white mane and tail. He is 20 years old. His girlfriend, Whinnie, is a silver dapple, about 17 years old. Both of them are sweethearts! They are gentle friends who are easy to handle for everything, including hoof trims, vet care, socializing and loading. Grady arrived in rough shape. He had a seriously damaged eye which was surgically removed July 2018. It has been determined by two veterinarians that the sight in his right eye is limited. He can see very little but he is still friendly and happy. He does receive medication daily to treat PPID. 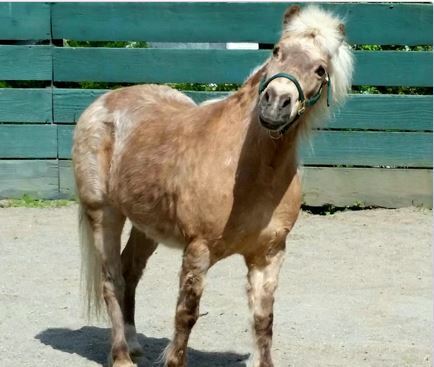 Whinnie is a sweet and sassy pony mare who arrived here in September of 2018. Her feet were distorted from chronic laminitis and she moved slowly and carefully. At a hoof trim on 12/10/2018, our farrier said Grady’s feet appear normal. Whinnie’s feet have improved a great deal and she is moving much more comfortably.They have have been wormed, received micro-chips and had dental floats. Due to their health issues they should be kept on a dry lot and fed only low sugar hay. They are best suited as pets; they are not trained to ride nor are they suitable to ride. If you are interested in adopting a pair of lovely characters to add to your life, Grady and Whinnie are a wonderful and deserving choice. 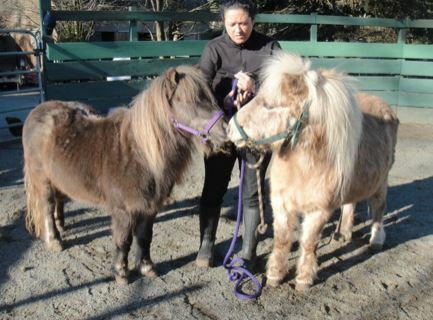 Please contact us at info@equineaid.org if you would like to learn more about this adorable pair. Their adoption fee is $350.00.